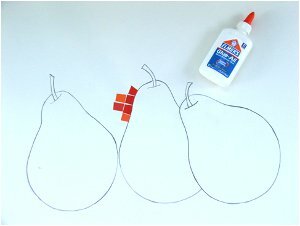 Create a beautiful Pear Paint Chip Mosaic that is pretty enough to hang on the wall. This craft is good for teens with patience. The concept is simple but cutting all the little squares and gluing them down will take a little time but is well worth the effort. If you like the idea but would rather pick a different picture, go right ahead. Collect free sample colors from department stores or paint stores. Choose a variety of shades. For example, if one of the colors to be used it's green then choose as many different variations of green ranging from light to dark. Pre cut your free color samples into 1" squares or smaller (this step is optional if you prefer you can cut as you go). Keep in mind that this little squares don't have to be of a perfect measurement. They can be re cut to fit. a specific area later on. frame. 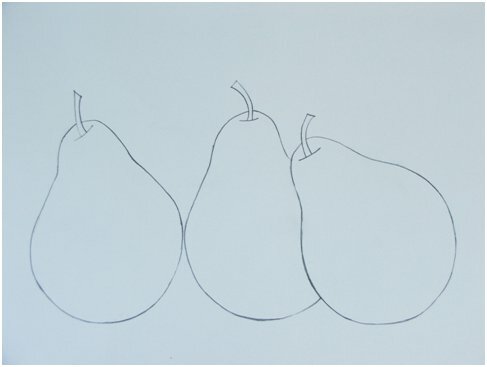 Following the manufactures instructions transfer the pear pattern to the poster board. that is very gratifying to see when it’s done. Frame your beautiful mosaic art.